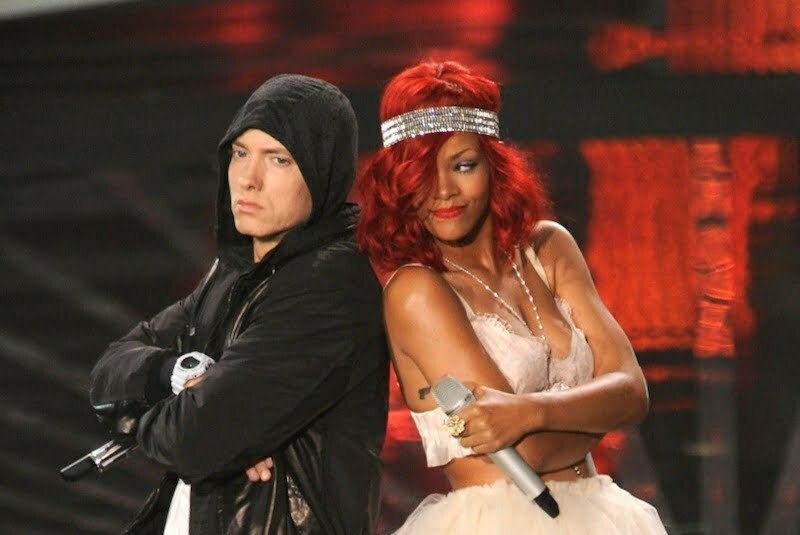 Eminem and Rihanna are planning to hit the road together. The Detroit rapper has announced his “The Monster” tour and says Rihanna will be performing along side himself on numerous tour dates. Eminem also tweeted that himself and Rihanna will be performing in New York, Detroit and Los Angeles in August. “NYC/DET/LA this August with @Rihanna! #TheMonsterTour,” Em wrote on his Twitter timeline. Eminem released his latest album, The Marshall Mathers LP 2, last August to rave reviews. The album topped the Billboard 200 chart. The collaborative single “The Monster” featuring Rihanna was one of the biggest singles off the album.